Chrome plated plastic with fold down spout. 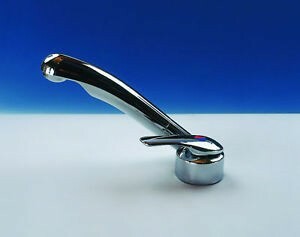 Comet Roma single lever mixer tap with spray outlet. Suitable for SMEV sinks and combination units.